Can a Parent be Ordered to Pay for a Child’s College Expenses? New Hampshire law regarding the payment of college expenses has evolved significantly over the last decade. Traditionally, New Hampshire law provided that a parent could be ordered to pay college expenses for an adult child. The law changed in 2004 and provided that a parent could not be ordered to pay such expenses by the Court. The law, however, has continued to evolve since that time and has become more nuanced. 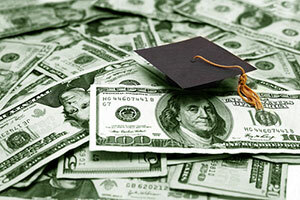 Today, the Court cannot order a parent to pay for a child’s college expenses, absent an agreement between the parties. Parents may agree to contribute to their child’s college expenses or other educational expenses beyond the completion of high school as part of a stipulated decree, signed by both parents and approved by the court. The agreed-on contribution may be made by one or both parents. The agreement may provide for contributions to an account to save for college, for the use of an asset, or for payment of educational expenses as incurred. Any such agreement shall specify the amount of the contribution, a percentage, or a formula to determine the amount of the contribution. RSA 461-A:21 codifies the idea that parents should be able to agree at the time of a divorce on the payment of college expenses for the children and that their resulting agreement should be enforceable by the Court. For those parents who want and are able to reach agreement concerning expenses for their children’s higher education, RSA 461-A:21 provides them with the mechanism to do so and affords them an important degree of control over the way in which their children’s future educational expenses will be addressed. RSA 461-A:22 through RSA 461-A:24 provide additional and important requirements concerning college expenses. For example, RSA 461-A:23 expressly states that any agreement between parents concerning college expenses that satisfies RSA 461-A:21 will be enforced by the Court. shall state whether the agreement either is modifiable or is not modifiable. To qualify as not modifiable, the agreement shall state a specific dollar amount to be contributed by either or both parents. If the parents’ agreement states that it is modifiable, the legal test for modification shall be a substantial change in circumstances that was not foreseeable when the agreement was signed. Moreover, before the parties can undertake legal action in Court, seeking either to enforce or to modify the terms of their agreement on college expenses, RSA 461-A:24 requires them to undergo mediation in an effort to resolve their dispute. The current statutory scheme concerning the payment of college expenses provides parents with the freedom to design for themselves a way to address the payment of their children’s college expenses. Although the issue of college expenses will not be relevant in every case, for those couples who have long-agreed on their strategy to fund – partially or fully – their children’s higher education, the current statutory scheme enables them to agree for themselves on their plan and to ask the Court to ensure that it is enforced.